Home 2030 Plan What is the new Plan? 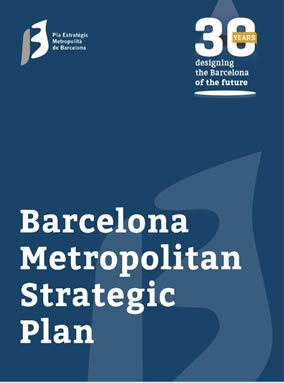 The Strategic Metropolitan Plan of Barcelona is starting a new round of discussion to share thoughts on how to integrate all the approaches suggested by the public and private sector and the residents at large to create the Strategic Metropolitan Plan of Barcelona for the year 2030. A central line of this plan must be the promotion of social and economic progress based on innovation and sustainability as a mechanism for reducing inequalities and spatial segregation in the metropolitan area. To develop this new plan, we intend to work on the basis of three major pillars: the resilient metropolis, the prosperous metropolis and the cohesive metropolis. Fight the growing inequalities in access to housing or employment and guarantee a quality urban environment and equality of opportunity for everyone in the metropolitan area. Join other metropolises around the world in the fight against climate change, in absorbing the impact of digitalisation and in achieving the integration of migrants and refugees. Formulate more effective metropolitan policies, from spatial planning to economic and social development, environmental management and the promotion of research, education and culture. Use tools of governance that strengthen democracy, public-private-community collaboration and civic participation at all scales of the metropolitan area (neighbourhood, town and metropolis). Just like 30 years ago, the power of transformation must spring from the concerted action of the main metropolitan institutions. We should base the city of the future on global commitments, like the United Nations' Agenda 2030 and the New Urban Agenda, as well as our local plans and programmes. We must take advantage of spaces of participation and the tools of new technologies to get the most widespread public involvement possible. The new Strategic Metropolitan Plan of Barcelona must be built based on the contributions and commitment of all parts of the so-called “quadra-helix”: the public administrations, the private sector, academia and the people at large and their civic organisations. Experts of recognised prestige are collaborating on drawing up the Plan 2030. The Advisory Committee is supervising the drawing up of the new plan and guarantees its internal consistency. The production of the new Strategic Plan responds to the need to adapt to changes in the environment in recent years: (a) the effects of the long and profound crisis; (b) the appearance of new growth strategies in the European sphere (Europe 2020-RIS3), and (c) the new institutional context, with the creation of the AMB.